You probably chat to your friends about buying property, or a car, but do you ever talk about super? While it’s not a common topic of conversation around the barbecue, your super will most likely end up being one of the biggest assets you accumulate in your lifetime. Do you know how much is in your super account and how it’s growing? You’re not alone if you don’t! Research shows that 40% of Australians don’t know their super balance. Super is something a lot of us need to know more about and in this article, we’ll go through the basics of helping you understand your super balance, how it grows, what it’s made up of, and how we can help you get the most from it. The Super Guarantee contribution from your employer - Your employer should be contributing 9.5% of your salary into your super. Your personal pre-tax contributions - You can arrange to have some of your salary put into your super before your salary is taxed. This is called salary sacrifice, and it reduces your income for tax purposes, so you may pay less tax. Your personal after-tax contributions - You can make your own contributions to your super at any time via BPAY, cheque, and via Vision Online – our secure site for members. Spouse contributions - Spouse contributions allow you to top up your lower-earning spouse’s super. To be eligible, your spouse needs to be earning below the threshold. Government co-contributions - If you make an after-tax contribution each year, you could get a boost of up to $500 from the Government. The amount you’re eligible for depends on your income and is restricted to those earning below the threshold. See the ATO website for more information. There are limits that apply to making personal contributions to your super. To see the most current contribution caps, click here to go to the ATO’s information page. While your bank account is saving your money, your super account is investing your money. Both saving and investing have the aim of increasing your wealth, but while money sits in your bank account, your super is working harder to earn more for your future. Being an investment, your super balance will go up and down over the course of your lifetime. You can decide which investment strategy is right for you, making sure you’re comfortable with the amount of risk associated with the strategy you’ve chosen – both financially and emotionally. Understand what kind of investor you are and how much market volatility (ups and downs) you are comfortable with. If you’re young you might decide you can afford to take more risks, and as you near retirement, you may want to switch to less volatile cash options. We offer a range of investment options with different strategies in place for you to choose from and we update our website every month with our investment returns so you can see how we’re tracking. We also have a range of online tools that can help you figure out your risk profile and investment choice available on our calculators page. If you’d like to chat to someone about which investment option is right for you, please call our Member Services team on 1300 300 820. You can check your balance online at any time on Vision Online. Vision Online is our member secure site, and you can use it to switch your investment option(s), update your details, check your insurance cover, and make additional contributions to your super. You can contribute to your super with personal contributions. How much you contribute depends on your personal circumstances and life stage. If you’d like to see how much small or large contributions can make, try out our Research. It’s an interactive calculator that lets you see how small changes like making an extra contribution, can affect your balance over your lifetime. We can also search for any lost super you might have with other funds that you might have forgotten about. To transfer your super to your Vision Super account, or for more information – go to the transfer my super page on our website. 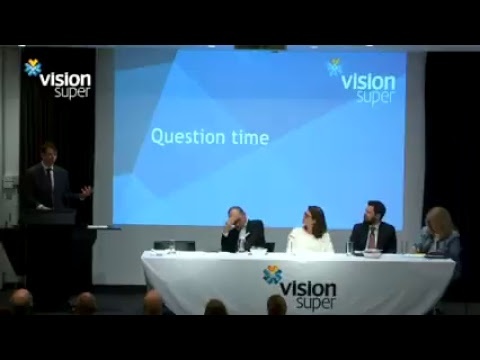 Vision Super is an industry super fund, working only to make a profit for our members, not shareholders. Everything we do is in the best interest of our members – and that includes keeping our fees low. What you save on fees, stays in your super! Compare us to other funds using this comparison tool provided by SuperRatings, an independent research provider. Our Member Services team are here to help you understand your super and the services we provide. You can call them on 1300 300 820 with your questions, or to arrange an appointment with a Vision Super financial planner. 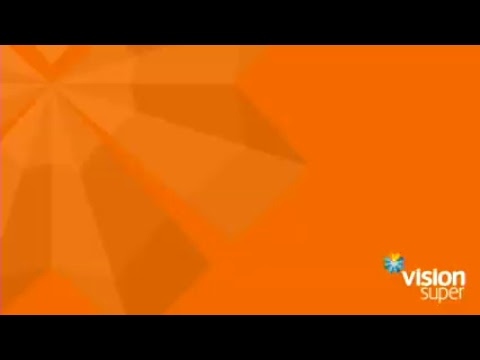 Find out more about our Financial Planning services at www.visionsuper.com.au/advice. *Before you make any changes make sure you check what your other fund may charge you in exit fees and check your death and disability insurance and income protection arrangements. We do not charge any fees to transfer your super into your Vision Super account.